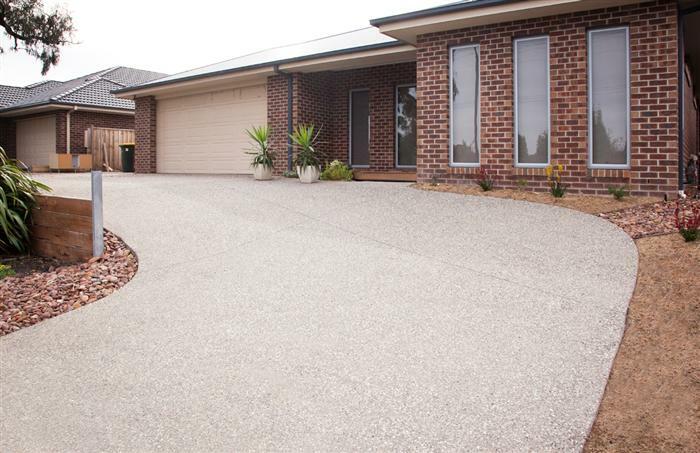 With so many new suburbs sprouting across Melbourne, Simply Driveways is perfectly placed to deliver your new driveway in a professional and timely manner. The size and type of driveway that is common to new homes fits perfectly with the Simply Driveways model. Whilst we have the experience and are well equipped to handle any type of domestic or light commercial job, the small driveway common to new homes is one we are perfectly set up to deliver. As a result, we can install your new driveway with a 5 year structural guarantee, a fixed price, and a wonderful range of exposed aggregate blends that are sure to please. You won’t find that anywhere else! Our fixed price offer, which means no extras for you under any circumstances, is exclusive to these types of driveways, so why not avail yourself of our expertise, the convenience of having office staff to assist you, and a professional crew that will deliver your simply amazing new driveway?